Arizona Diamondbacks are also called D-backs. The club competes in the National League West division along with the Giants, Rockies, Dodgers and Padres. The team was created in 1998, and since then they played all home games at Chase Field. The Diamondbacks have one World Series Championship win to their credit, making it the fastest expansion team in the MLB to win a championship. If you’re concerned about privacy and computer security these days you may want to consider streaming the Diamondbacks game via VPN. They’re not expensive (3 bucks a month) and help protect you and your devices from tracking software. 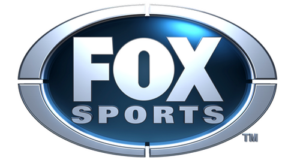 Fox Sports Arizona along with Fox Sports Arizona Plus broadcast all the Diamondbacks games. The channel is available as part of the basic package offered by most pay-tv service providers in the state. Fox Sports Arizona does not have a dedicated app, though some games are streamed via Fox Sports native app. Alternatively, the cable service providers’ apps can be used to stream the channel on mobile devices. Cable television services can be a bit of a hassle especially when users need to make a long-term commitment to the service. However, live streaming services like Fubo, Sling TV and DIRECTV NOW are a lot cheaper. All services deliver dozens of sports, entertainment and news channels via their native apps for iOS, Android, and Chromecast devices. Many Diamondbacks games will be aired on ESPN, and Fox Sports depending on where you’re located. Fox is also scheduled to broadcast the playoffs. TBS will also air a few games. However, the best way to find out which games will be available on a network you’ve subscribed to is to refer to the Diamondbacks broadcast schedule.